Mike and Dustin stopped by yesterday afternoon with a nice mess of fish for the dinner table Including a weakfish and bunch of blues up to 3 pounds. That also reported lots of flounder up to 26 inches all of witch where promptly released. Don’t for get about the punch cards bring any fish to get wade and get your card punched. Get 6 punches and get $10 in store credited. Bob Hills from Gibbstown had a great morning on this sunny day. He landed and released 10 founder 2 of witch where over 22 inches. He also had over 10 blues fish up to 5 pounds and a 16 inch tog that ate a Glup! Bait and was released. 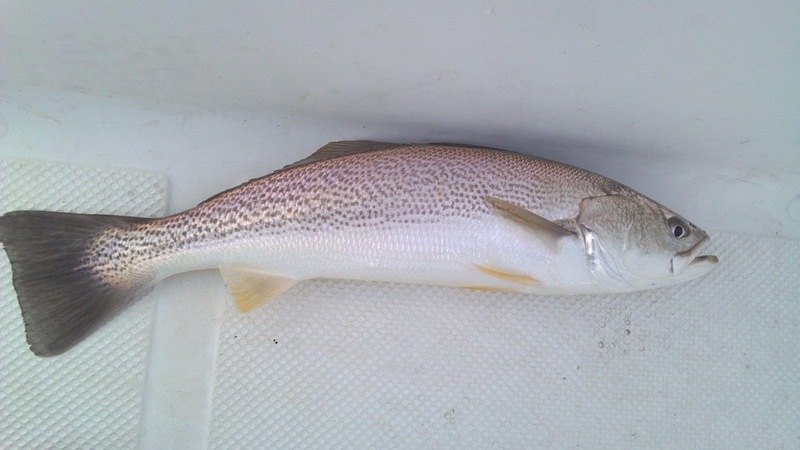 Topping of the cooler was this very nice 26 inch 6 pound 2 ounce weakfish….. The wind stopped bowing NE for the first time in a week or more the sun came out and the fish where biting. Tom P had a great afternoon after work landing 3 flounder, 3 blues and 2 weakfish an 18 and a 24 incher. When the whether cooperates the fishing has been very good and it looks like a descent weekend. Less than 2 weeks left till the opening day of the flounder season and the opening day tournament. Last years winner won was nearly $2000. This year we hope to grow even more. 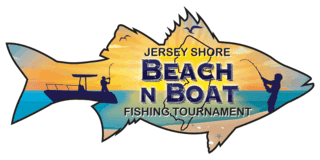 We are also adding Calcutta’s for bluefish, weakfish, and a 3 flounder stringer. Sign ups are open now and will continue till 6am opening day.